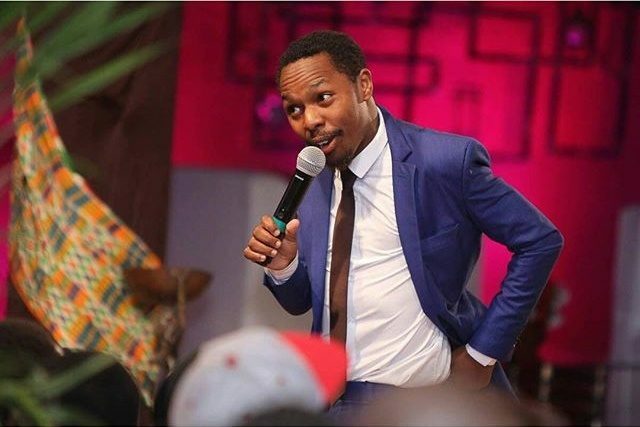 Churchill show finest comedian, Sleepy David has become the talk of town after he decided to gift his mother with something she has never had before. The hilarious TV comic has not been on the show for a while now but things seem to be going on well. Sleepy has landed many advertisement deals with big firms and he has also been selected as brand ambassador for many products in the country. Unlike other celebrities who forget their past and most especially family, David decided to do something special for hie mother that caught the attention of Kenyans. Earlier today Sleepy David accompanied his mother to the Airport where he was going to pay for her a flight since she has never been on one. See the photos circulating on social media.